Vodafone India has launched 2 new prepaid plans worth Rs. 99 and Rs. 109 which comes with unlimited voice calling benefits for a billing cycle of 28 days. Rs. 99 and Rs. 109 provide subscribers with unlimited local, STD, and roaming calls, TelecomTalk reports. Additionally, the Rs. 109 recharge pack also comes with 1GB of 3G/ 4G data. As mentioned, the validity period of both the plans is reportedly 28 days. It is worth noting that the unlimited voice calls are said to come with FUP limits of 250 minutes per day and 1000 minutes per week. Also, a user can reportedly make voice calls to 100 unique numbers during the entire validity period. 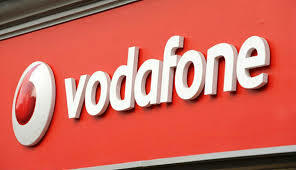 These plans offered by Vodafone are aimed at subscribers who prefer voice calling over data benefits. Meanwhile, coming to the plans close to Vodafone's new plans, Jio has a recharge pack worth Rs. 98. With this prepaid plan, Jio provides 2GB of 4G data, unlimited voice calls without any FUP limit and 300 SMS messages for a validity period of 28 days.